For customers – it’s a very rich offering relative to other rewards and loyalty programs in this market (up to 50% of flights and $680 in shopping vouchers annually in the Australian offering) . For AIA – they lower their risk and claims rate because healthy customers self select in and apparently – they grow their customer base at around 20% per year while the market (and their competitors) grow at about 2%. What is it: a rewards program offered on your insurance products (life and health typically) by AIA. AIA offer the same in Australia. Know your health: Get things like cholesterol and risk of heart attack checked. Improve your health: Get fitter, get healthier, fix anything that needs fixing (like cholesterol). Importantly, what you the customer receives is tiered. Points are awarded for key behaviours. While the published flight benefit is up to 50% cash back on your Virgin Australia booking (Platinum tier) there’s still a 10% benefit at the base Bronze level. 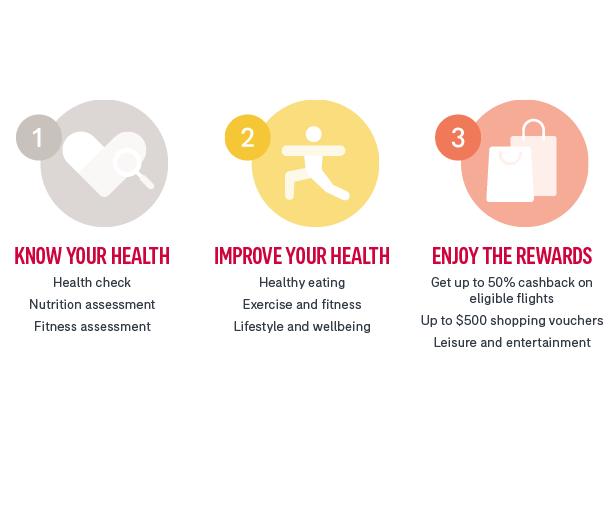 Vitality operates in 19 countries (including the UK and the USA) with 11 million customers. That’s not a lot of customers for that many countries but it is the best customers in each of those countries (least likely to get sick, die early, claim a lot) because they’re healthy. It was invented in South Africa in 1997 by Discovery Health and has spread (generally licensed to insurers but also acquisitions) around the world and across insurance products. More sales – the licenced insurer using Vitality grows (a lot) faster than the market (in Life Insurance growth of 20%-30% and in Motor Insurance 6 times the rate of the market). To better customers – customers who join are already better risks (in health they have 28% lower hospital costs). Who work the program to their advantage and further reduce their cost to the insurer (those who run twice a week have 15% lower costs). And who stay customers longer (lapse rates are 15% to 60% better). Nothing’s been published so nothing’s in the public domain yet. AIA New Zealand are recruiting their team and some have Vitality in their title already. Using a size for size comparison of UK, Australia and South Africa (leaving the USA) suggests a customer base of 130,000 New Zealanders (2.7% of the population). That’s not a lot to negotiate partners for. However AIA’s not asking the partners to fully fund all the airline discounts and shopping benefits (they will out of savings from lower claims). AIA Australia has historically had Qantas and now works with Virgin Australia. AIA is an Air New Zealand Airpoints partner already and that may have been a smart pre-emptive move on their part. Assumption – it’s Air New Zealand unless Virgin Australia has tied it up as part of the Australian deal. Australia : Myer, Woolworths, Rebel and Dymocks partner with Vitality Australia. In the past My Food Bag was a partner offering a 15% discount (smart because acquisition and retention costs in grocery subscription is expensive and unsustainable) . Hoyts is the Australian movies partner. There’s a variety of national gym chains included. New Zealand : if the existing Australian partners see the benefit of their partnering with Vitality in Australia it’s likely they’d replicate that in New Zealand lowering AIA New Zealand’s administrative burden. Woolworths, Rebel and Hoyts would be included as would Anytime Fitness. Vitality as a program recruits and retains the best customers in the market. They are more likely to join the program, more likely to become better customers while they’re on it and more likely to stay customers for longer : everything a good loyalty program should deliver. Discovery launched with health insurance in South Africa in 1997. Last year Discovery launched a bank in South Africa. The bank rewards customers for addressing 5 behaviours that reduces the customers risk of not being able to meet their financial obligations. AIA may start with health or life insurance but it’s when they or Vitality branch out into other insurance categories and the wider financial services market that it’ll be really significant.